When the Deerfield Township held its reorganization meeting on Jan. 3, 2018, Abigail Perlstein O'Brien was selected to serve as Mayor and Rudy Danna was chosen as Deputy Mayor. 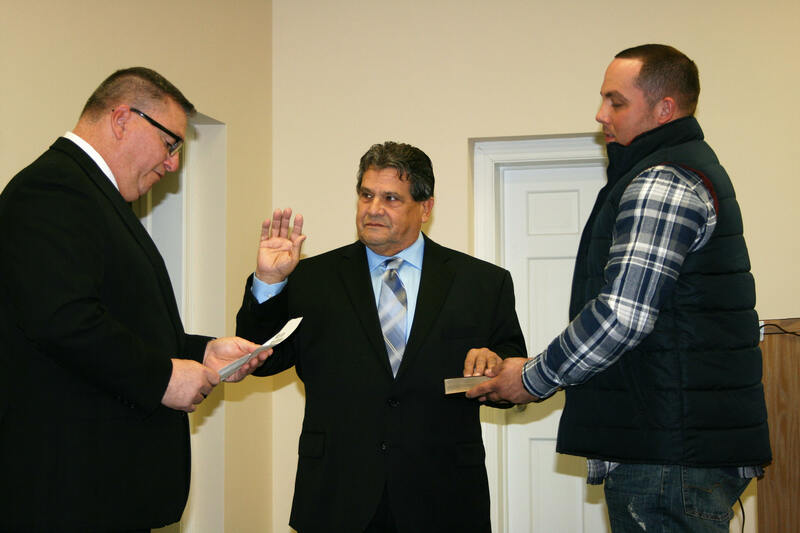 Newly elected Township Committee Members Anthony Brago and Michael Terrigno were sworn in to three-year terms of the Township Committee. 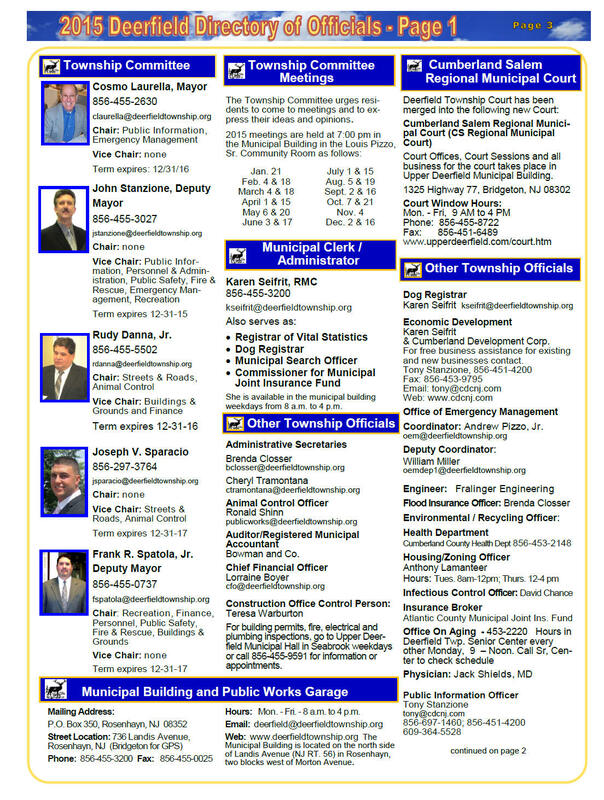 The other Township Committee Member is John Stanzione. 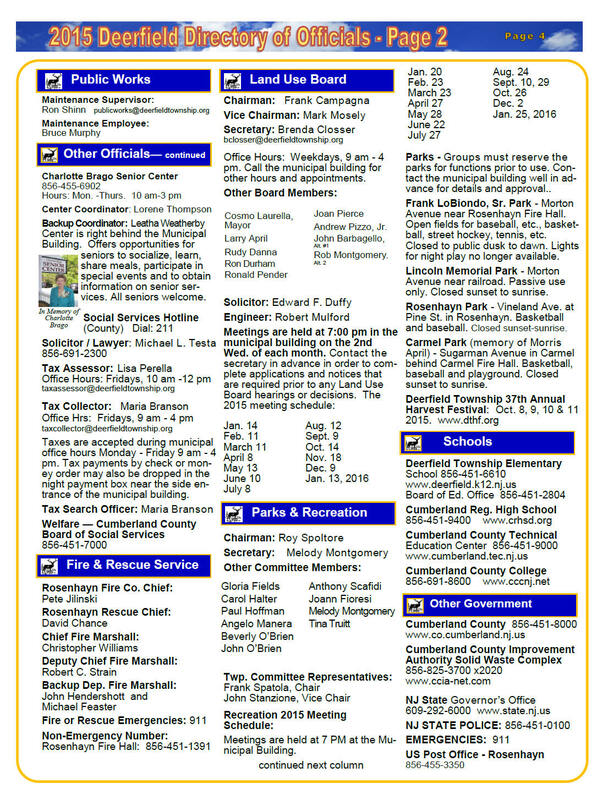 See Jan. 3, 2018 Minutes of the Township Committee for more information on reorganization. 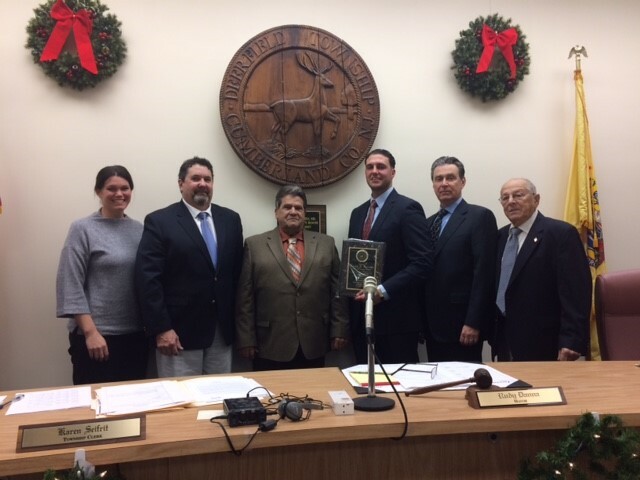 At Deerfield Township’s reorganization meeting held Jan. 3, 7 PM at the Township Municipal Hall in Rosenhayn, John Stanzione and Rudy Danna, Jr. were sworn in to new three-year terms on the Township Committee, Frank R. Spatola, Jr. was elected as Mayor and Abigail Perlstein O’Brien was elected as Deputy Mayor. Stanzione, who served more than 20 years on the Committee, lost his seat a year ago but was re-elected to the Township Committee in November. Danna, who served as Mayor in 2016 and won election to another three-year term in November, was thanked for his service. Spatola, who served as Township Mayor previously, was selected by his fellow Committee members to serve as Mayor in 2017. He thanked those who attended the meeting and pledged continued team work on the Committee and with all who work for and volunteer to help the township. 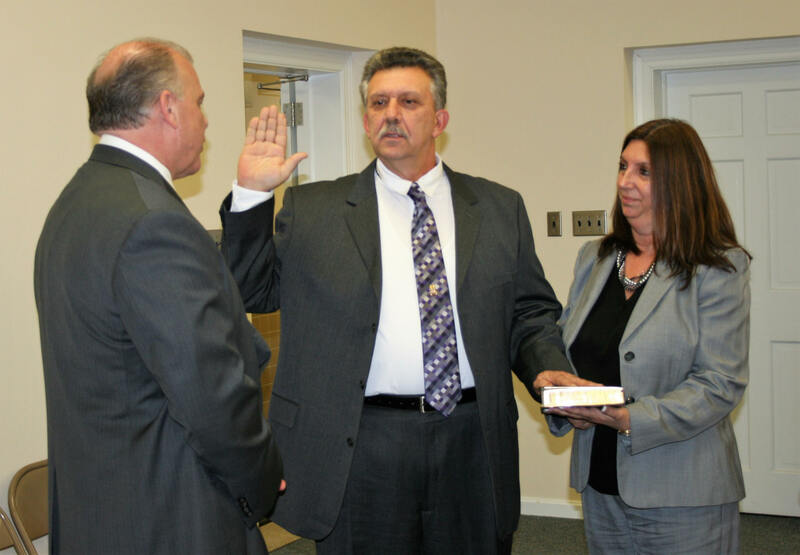 Bruce Murphy was installed as a Township Committeeman in December after appointment by the Committee to fill the unexpired term of Joseph Sparacio, who had to resign to begin a term on the Cumberland County Board of Freeholders. About 60 people attended the meeting that also included many appointments to paid and unpaid positions in the local government including Karen Seifrit, Administrator; Michael Testa, Solicitor; Mark Mosley, Frank Campagna and Larry April, Land Use Board members and Fulton Bank was named official bank and depository. Cumberland County Freeholder and former Deerfield Township Mayor Carol Musso (left) leads the oath of office as Frank Spatola, Jr. becomes Deerfield’s Mayor for 2017. Witnesses include his son Frank and his grandson. NJ Senate President Steven Sweeney (left) issued the oath of office to Township Committeeman John Stanzione, who is pictured with Cumberland County Freeholder Carol Musso, who assisted with the ceremony. Cumberland County Freeholder Carman Daddario (left) issues oath of office to Township Committeeman Rudy Danna, Jr. (center) as he begins a new term on the Township Committee in Deerfield as Danna’s son holds the Bible. 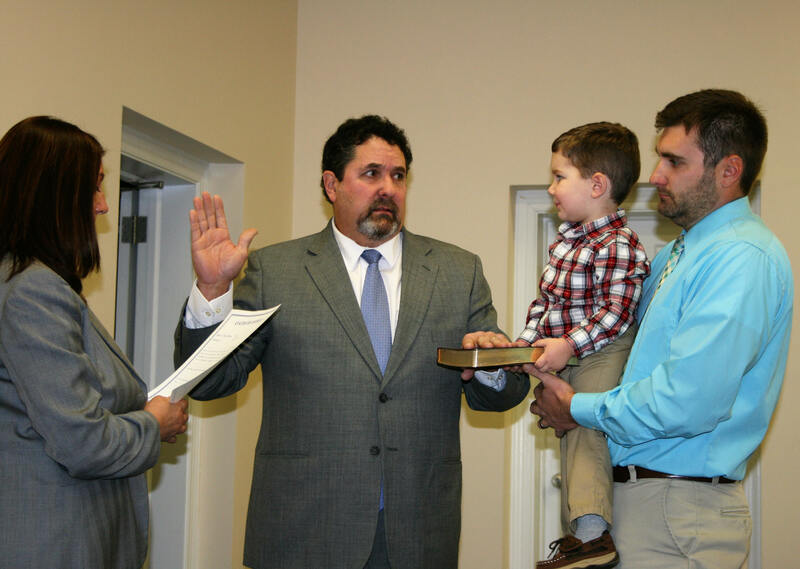 Cumberland County Freeholder Joseph V. Sparacio, (left) who recently resigned from the Township Committee here to begin a term on the Freeholder Board, issued the oath of office to Township Committeeperson Abigail Perlstein O’Brien who was selected as Deputy Mayor and her son and husband. 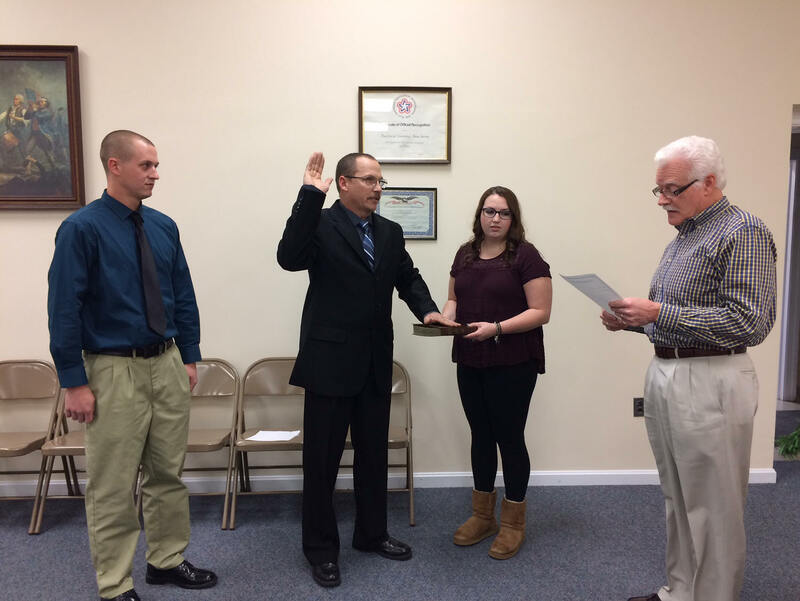 Bruce Murphy, II was sworn in to the unexpired term of former Committeeman Joseph Sparacio on Dec. 21, 2016. Attorny Robert Casella leads the oath of office as Bruce and Krystal witness the ceremony. Cosmo Laurella, who served on the Township Committee for 27 years from 1990 to 2016, elected 9 times to three-year terms, decided not to seek re-election in 2016 and ended his service in this office on Dec. 31. 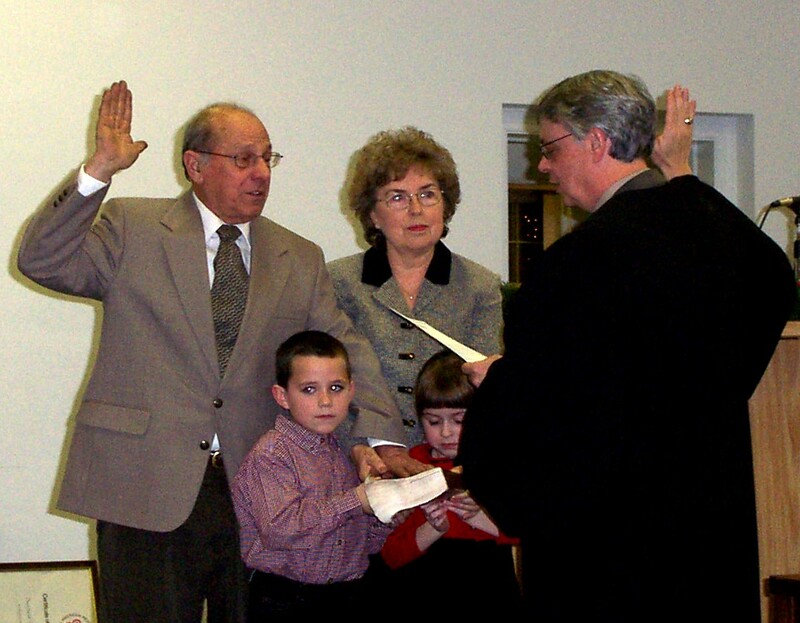 He also served many years on the Board of Education and as a member of the Land Use Board. The Township Committee and the people of Deerfield Township thank him for his years of dedicated service to the residents of the Township. 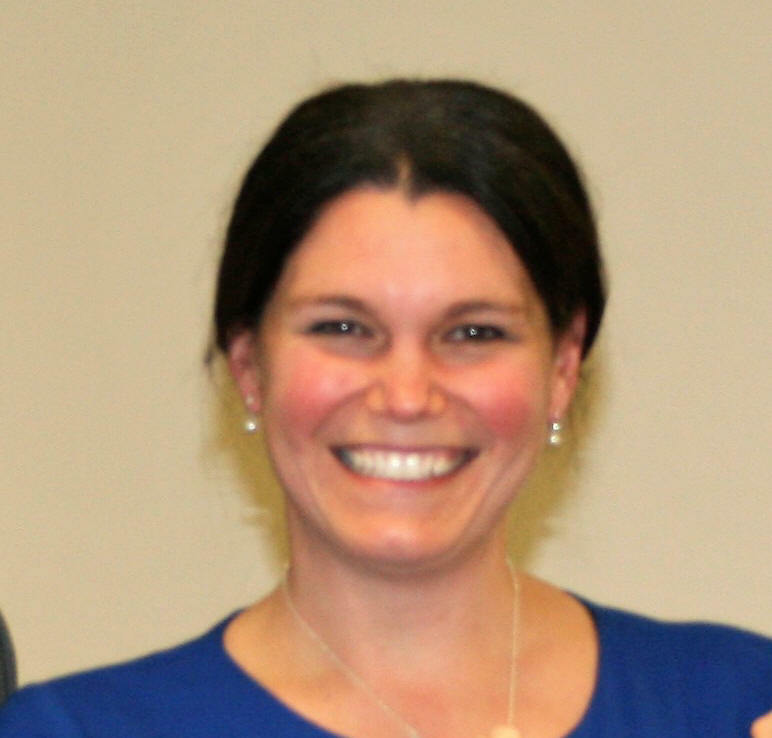 Abigail Perlstein O'Brien began her service on the Township Committee in January 2016. Rudy Danna was selected as Mayor and Frank Spatola as Deputy Mayor. 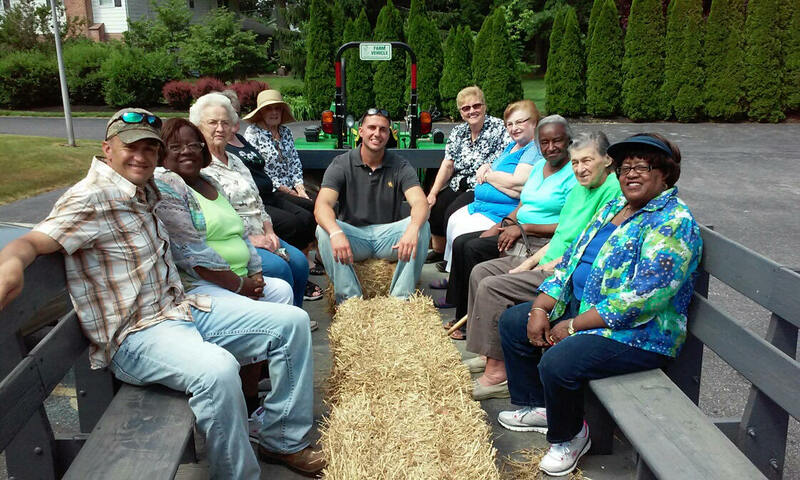 The Charlotte Brago Senior Center seniors were give a tour of Township Committee person Joseph Sparacio Family owned Maple Valley Farms. 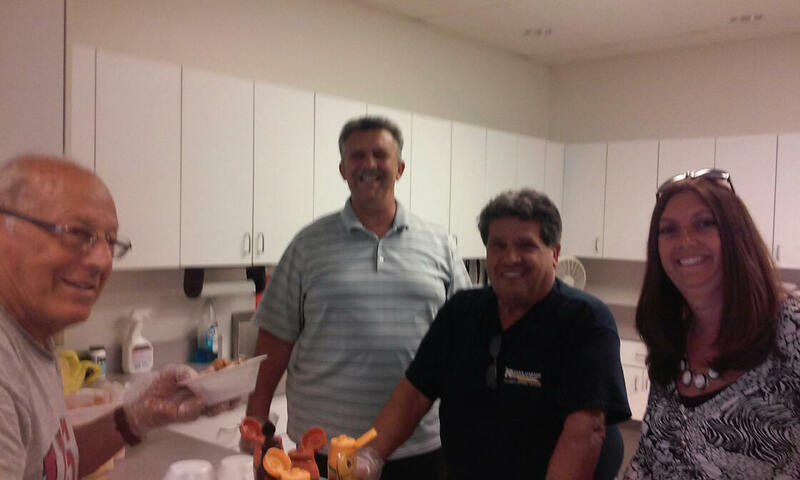 the seniors were treated to a delicious lunch served by the Sparacio family. Seniors enjoy Ice Cream Social given by the Township Committee. 2015 Deerfield Township Youth Officials meet with Township Officials. Youth Recreation Committee member Zaniel Condado is sworn in at Youth Government Night in Deerfield Township. Over forty years ago, Deerfield Township Recreation Committee, working with teachers and administrators of Deerfield Township School started a youth government program to teach young people about local government and to encourage them to be involved citizens. 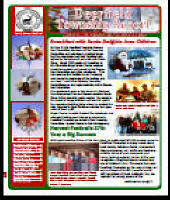 On June 3, 6 PM at the Deerfield Township Municipal Building in Rosenhayn, the 40-year tradition continued with meetings of the Youth Township Committee and Youth Recreation Committee and awarding of prizes for essay and poster contests. The event began with Carol Musso swearing in the youth officials. Connie Bevacqua served as Mayor. Jackie Negron was Deputy Mayor. The other Township Committee members were Tiana Berkley, Christian Herman and Shalauni Patel. The Township Clerk was Gina Ingegreri. They Youth Recreation Committee members were Zaniel Condado, Mackenzie Criss and Zhanea Logan. Township Committee members Mayor Cosmo Laurella, Deputy Mayor John Stanzione, Frank Spatola and Joseph Sparacio also participated in the meeting. Also assisting in the meeting were Dr. Jones and Ms. Cognato of Deerfield Township School. The proposals that were approved by the Youth Township Committee included starting a public library, starting a July 4th festival, construction on sidewalks in Rosenhayn, park clean-up projects and a public volunteer garden. The Youth Recreation officials voted to have community-wide yard sale, present a second festival like the Harvest Festival and building of a community pool. The poster contest first place winners were Janathan Rossi, Shaniah Williams, Ingris Robles, Natalee Dragotta, Korin Robbins and Heaven Brown. The essay contest first place winners were Amaray Phillips, Vraj Patel and Gina Ingegreri.